Obtaining banned driver insurance after a driving disqualification can be a daunting experience. Some insurers will simply refuse to insure drivers who have been disqualified and others will load the premiums so much that taking out insurance policies with them is unaffordable. The good news is that there are insurance companies who actually specialise in insuring previously banned drivers and drivers with convictions and/or points. These insurers are able to offer affordable insurance policies to higher risk drivers. Simply click the get quotes button above and enter your details, your details will then be passed on to multiple insurers who specialise in insuring drivers with convictions & previous driving disqualifications. If you are happy with one of the quotes you receive, you can purchase the policy direct from the insurer. No matter what reason you were disqualified for whether it was for drink driving, speeding, no insurance or a disqualification under the totting up procedure. We can help you find an affordable insurance policy. 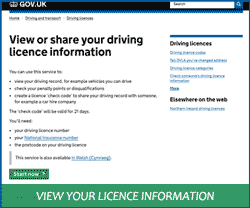 Banned drivers can submit an application for a driving licence 56 days before their driving disqualification is due to end (or up to 90 days before their disqualification is due to end if they were disqualified for a drink driving offence & classed as a high risk offender). Banned drivers can apply to the court for the early removal of their driving disqualification if they were banned for 2 years or more. You will need this information when obtaining insurance quotes. Convictions that are classed as 'spent' under the Rehabilitation of Offenders Act 1974 do not need to be disclosed to insurers.